Lock in a great price for Hotel Villa Marstall – rated 9.1 by recent guests! Great location and view. Parking was not as bad as expected because of close proximity to everything. The staffs are very kind and helpful. The room is nice, clean, and quiet. I feel like staying home when staying in this hotel. Everything is superb. We can get nice locations for photos, foods, and shopping. Friendly and helpful staff, who listens and cares. Great location. I liked the decor, the quick and personalized email responses. The friendly staff, charming building and rooms. Good location near the Christmas markets and nice view of the river. The staff at the front desk made the stay extra comfortable and convenient. They were enormously helpful with everything from early check-in to parking to Christmas Market maps and info on all we needed. 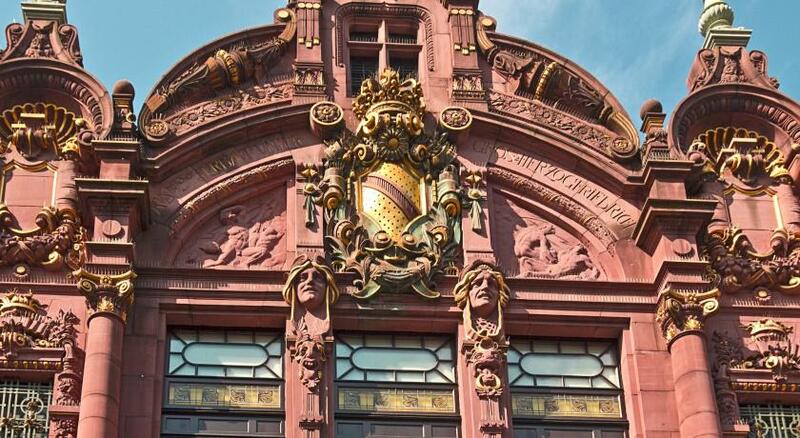 Beautiful building very central to Old town, everything we wanted was walkable. Front of hotel has views of the river. Rooms were comfortable and a decent size. Breakfast was great! Great location to visit major sites, convenient to a number of excellent restaurants, helpful and friendly staff. Very good breakfast, comfortable beds, very good value. Well functioning wireless, plenty of hot water. The location of this property was enough, everything else was a true bonus. The room was beautiful and comfortable and the bathrooms were some of the nicest we encountered on our trip. Overall, we will be back. Hotel Villa Marstall This rating is a reflection of how the property compares to the industry standard when it comes to price, facilities and services available. It's based on a self-evaluation by the property. Use this rating to help choose your stay! This elegant hotel is a beautiful 19th-century villa in the heart of Heidelberg, directly overlooking the River Neckar and a short walk from all historic attractions. Opened as a hotel in 2006, the Villa Marstall offers a range of stylish rooms which are classically furnished with solid wooden furniture and cherry-wood floors. All rooms feature all modern amenities, including a small fridge, cable TV and free Wi-Fi. All rooms are nonsmoking with air conditioning to guarantee complete comfort. Wake up to a rich breakfast buffet in the historic vaulted cellar of the Villa Marstall. 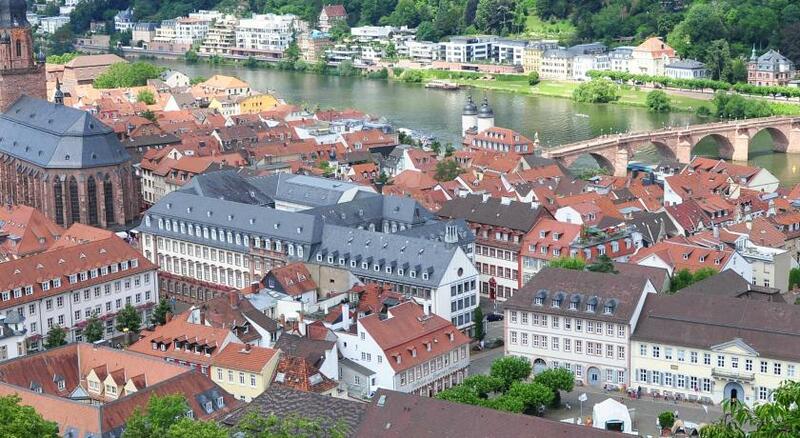 The hotel is close to Heidelberg Castle, the Alte Brücke (old bridge) and one of the longest shopping miles in Europe. Heidelberg's congress center and university institutions are all nearby. Guests at the Villa Marstall enjoy good public transport connections, and a garage is available in one of the car parks within easy walking distance. When would you like to stay at Hotel Villa Marstall? This suite features include cable TV, air conditioning, and a private bathroom with hairdryer. This room has a separate bedroom and living area. Room features cable TV, air conditioning, and a private bathroom with hairdryer. Some room also have a seating area and offer castle views. House Rules Hotel Villa Marstall takes special requests – add in the next step! Hotel Villa Marstall accepts these cards and reserves the right to temporarily hold an amount prior to arrival. Please note you can stop in front of our house to drop off your luggage and then drive to public garage, or vise versa. Please note that the parking place is 1,650 feet away from the property. Please inform Hotel Villa Marstall of your expected arrival time in advance. You can use the Special Requests box when booking, or contact the property directly using the contact details in your confirmation. Breakfast buffet and coffee machine. Parking to load and unload luggage was very tight but expected. - I did not receive the Wi-Fi code during the check-in and could not find it in the room. I did not really need it but it would have been nice to have it so I could connect mi iPad to the internet. - Great location walking distance from nice touristic sites (castle, old town, bridges...) - I booked a single room and got upgraded to a regular double room which had more space - Breakfast was delicious! The dining room as downstairs and it felt like having breakfast in a chateau. There wasn’t anything not to like ! Beautiful location. Staff was wonderful and very friendly. Ground floor rooms are not the quiet types. You could hear pedestrians talking outside below the window. In summer, when you can't shut the windows completely, it would be unbearable for me. Definitely a place I go again and again. Service and accommodations are almost perfect. Location is good, and so is the breakfast. Our room was situated on the corner of the hotel, which faced a main roadway and walking thoroughfare. Whilst the noise didn’t affect us, it may be an issue for some. This also meant that people walking past could see straight in through the windows when the curtains were open. This was a well furnished and spacious accommodation right in the middle of the Altstadt. Easy access to most points of interest in the area. The room would be well suited to a romantic style of getaway. Fitted with heating and cooling. Lovely staff at reception. Excellent location. Very nice hotel in great location.